Norman Solovay - Mediator & Arbitrator based in New York, New York. If you’d like a list of available dates for Norman Solovay, please submit a request below. You will hear back directly from Norman 's assistant, Lynda Teamen-Schumann. Norman’s continued inclusion in the National Trial Lawyers Asso<?xml:namespace prefix = st1 ns = "urn:schemas-microsoft-com:office:smarttags" />ciation’s list of 100 Best New York Trial Lawyers stems from an unusually diverse litigation career. But it is at sharp variance with his current view of himself as a “reformed litigator” dedicated to resolving disputes out of court wherever possible. He does however acknowledge the debt his present more satisfying ADR practice owes to his participation as counsel to parties in numerous mediations and arbitrations which in turn led to his writing the first of his three ADR books. The invitation to write that first book, which dealt exclusively with arbitration, was extended by Matthew Bender as the result of Norman’s conduct of a much publicized and extraordinarily long and expensive precedent setting international arbitration. His later books, however, written after extensive training in mediation and the conduct of many pro bono mediations for the New York federal court, also dealt with and clearly favored mediation over arbitration where a choice was possible. Moreover, after establishing a modest reputation as a mediator, Norman also become interested in and eventually a proponent and practitioner of various increasingly popular settlement techniques, including med-arb, collaborative law and others for situations where classic mediation wasn’t going to work. 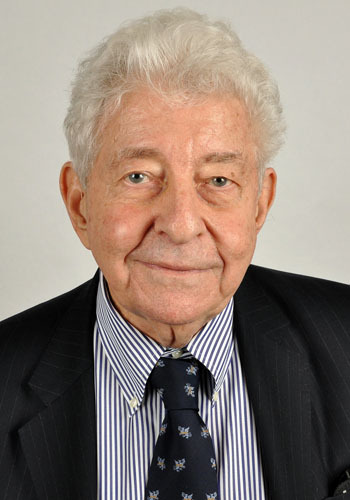 Numerous bar association programs that Norman organized and participated in and articles that he wrote dealing with the potentially useful interplay among these techniques brought him wider recognition in the ADR world, including appointment as the first Chair of the NY State Bar Association Collaborative Law Committee and, most recently, of its newly established Negotiation Committee. Moreover his emphasis on the need to expand the use of ADR in resolving international business disputes and his early advocacy of utilizing the now increasingly popular med-arb as a cost saving replacement for expensive international arbitrations also resulted in an invitation to form and Chair a US Branch of the Indo-American Chamber of Commerce. While Norman had accepted an invitation several years ago to chair the ADR practice of a well known law firm, he, like many of his ADR colleagues, recently realized the benefits of establishing his own firm. His continued friendly ties with his former partners plus new contacts enable it to have what he views as “the best of both worlds,” namely, the ability to continue to handle a broad range of matters, large and small while pursuing on a conflict free basis the expanding Separate Practice built on ADR described in his more complete website biography.